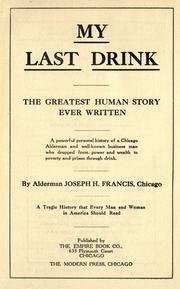 Are you sure you want to remove My last drink, the greatest human story ever written from your list? 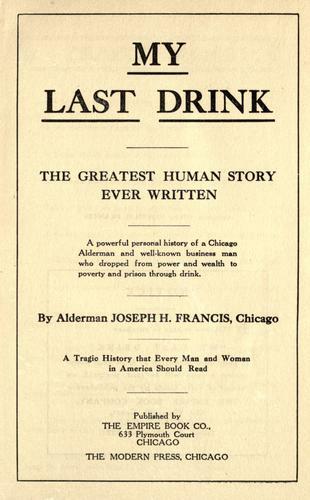 My last drink, the greatest human story ever written: a powerful personal history of a Chicago alderman and well-known business man who dropped from power and wealth to poverty and prison through drink. 1915, The Empire Book Co.